What is "slow?" We recognize that this is relative concept and you may consider one speed to be slow while another customer may be completely fine with that exact speed. Since it is impossible to determine what is slow for everyone, it may be more beneficial to help you fine tune your site to be as fast as it can be. 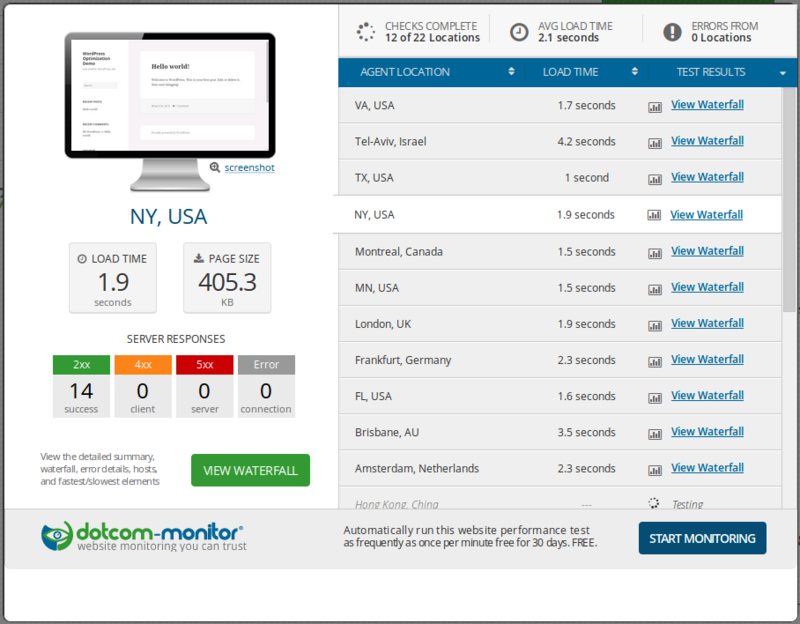 dotcom-monitor offers free website testing tools in addition to their other services. You simply enter your website URL into the provided field and select, prove you're human, and click START TEST. It will then connect to your site from various places all over the world so you can see if it is your connectivity or if it is something more. If you would like us to help you find the exact location that is causing your site to appear slow, contact us via phone or Live Chat with your trace route. We suggest you use WinMTR to send your trace route. Our Linux Administrators will then review the route, determine exactly where the the lag is coming from and let you know where to point your ISP. We suggest you use a tool called GTmetrix. Simply enter your site URL into the Analyze Performance of field and select Go! 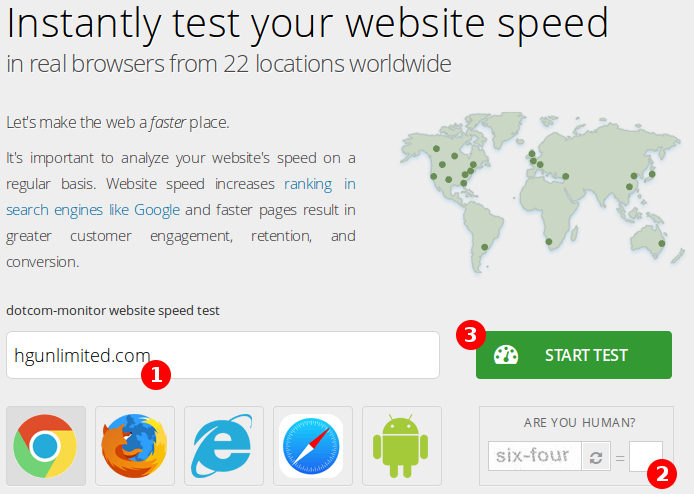 GTmetrix will then analyze your site and give you a grade for general page speed and Yahoo! 's YSlow tool. You can also see your exact page load time.